William P. Campbell was born in 1943 in Paterson, New Jersey. He began painting at the age of 9, under the guidance of his older brother, Frank, also a painter. William began his formal training at Newark School of Fine and Industrial Arts in 1960, where he studied with the painters Samuel Brecher, Hans Weingaertner and Annie Lenney. After graduation, he studied portrait painting for two years with Carmela de Fronzo, and went on to attend the School of Fine Arts at William Paterson College. 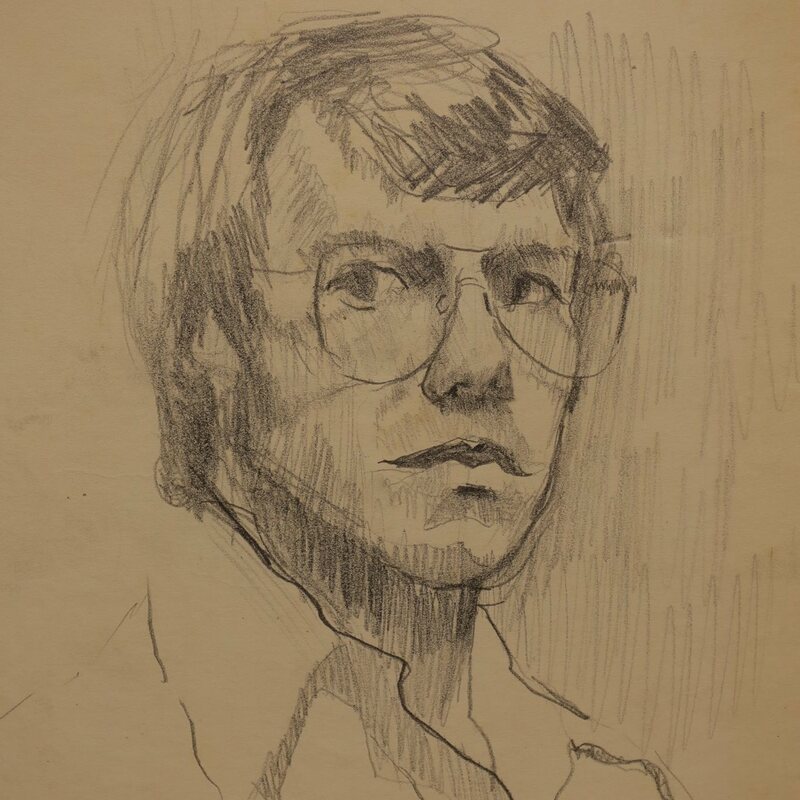 self portrait circa 1978 graphite on paper 17 x 14 in. Mr. Campbell started painting urban landscapes in the early 1960’s. His early work reflected the influence of the gritty urban landscapes of the Ashcan School. Campbell’s portraits reflected a prescient talent for capturing the life and restless mystery of his subjects. Portrait, circa 1970. oil on canvas 40 x 26 in. His use of color transcended from the somber earth tones of his earlier paintings to the vibrant palate of his later work. By 1974, his works had moved almost exclusively into the natural realm. He became seduced by nature and mysticism, and painted large canvases of curling, spiraling plants. His later work embraced the urban environment once again, from his painting studio on the tenth floor of Passaic’s tallest building, he observed and painted the play of light and the vibrant colors of his city. In addition to being a painter, William Campbell served as a Letter Carrier for over 30 years at The United States Postal Service in Passaic. 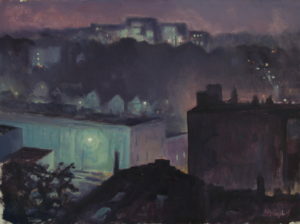 Passaic Post Office at night 1991 oil on paper 22 x 30 in. William Campbell died at the age of 49 in 1992. William Campbell had numerous exhibits, awards and collections to his credit. 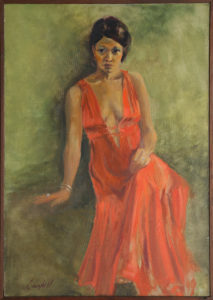 Several of his early works were exhibited at the Charles Mann Gallery in New York City, Allied Artists of American Annual at the National Academy of Arts and the Montclair Arts Museum. “An Artist Working as a Letter Carrier,” a feature documentary film about William Campbell, is currently in post production.